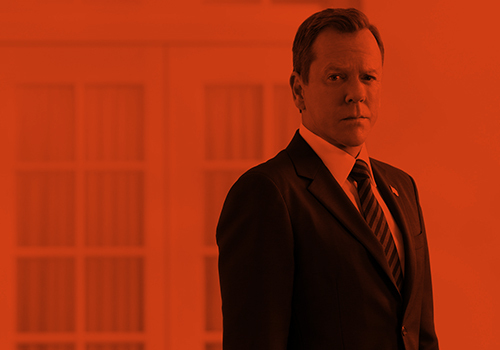 Kiefer Sutherland has revealed he will reprise his original character in the new Flatliners film. The 49-year-old actor will be returning as former medical student Nelson Wright in the new reboot. Kiefer starred alongside Kevin Bacon, William Baldwin, Julia Roberts and Oliver Platt in the 1990 film but he’s the only original cast member who will be back in the remake. The film revolved around a group of students, led by Nelson, who carried out dangerous experiments in an attempt to prove there is an afterlife – with terrifying consequences. The reboot stars War And Peace star James Norton, Ellen Page, Diego Luna, Nina Dobrev, Ellen Page and Kiersey Clemons. Flatliners arrives in US cinemas on August 18, 2017 with a UK release yet to be announced. This entry was posted by Courtney on Wednesday, July 27th, 2016 at 4:41 pm. It is filed under Articles, Movies. You can follow any responses to this entry through the Comments Feed.